A wealthy man who is on house arrest while appealing his high-profile conviction of Florida DUI manslaughter charges earlier this year is back in jail after reportedly tampering with his ankle monitoring device. Fort Lauderdale criminal defense attorneys understand that polo magnate John Goodman, who was paying for constant home surveillance at his estate in Wellington, has been sent back to jail after authorities say he tried to damage the tracker on the bracelet with a handheld mirror. Goodman’s situation is rare in that he had been footing the $2,000-a-day bill to be allowed to remain at his home under house arrest and constant supervision while his appeal is pending. What’s not rare is the implementation of ankle devices for those either awaiting charges on bail or who have already been released from prison for certain offenses and are on parole. Ankle monitor bracelets are sometimes used in Florida DUI cases, because they can be programmed to measure alcohol levels in a person’s sweat. So if an individual has been ordered not to drink alcohol while awaiting trial, the ankle bracelet would provide evidence if that directive was not followed by the defendant. In general, our DUI attorneys would advise anyone who has been released on the condition of wearing one of these devices not to tamper with it. Not only will it likely result in your re-arrest, you may possibly even face additional charges. But we know from exploring the experiences of those in other states that such devices aren’t always full-proof. 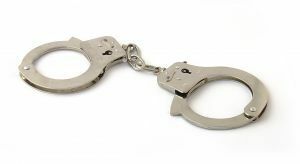 State officials in Massachusetts scrambled earlier this year to find a new ankle monitoring bracelet provider, after there were numerous false reports of house arrest violations. In fairness, the company the state chose to subsequently contract with was the one Florida uses now, and the one who produces the bracelet worn by Goodman. Still, one should never say that false readings are impossible. After all, it is an electronic. It is subject to flaws, like anything else. Attorneys for Goodman have said they want an independent analyst to look more closely at the device itself to determine if there was any way the damage could have been inflicted by accident. In the meantime, Goodman is expected to remain behind bars until at least Thanksgiving. He was sentenced to 16 years in prison following a conviction for hitting a vehicle driven by a 23-year-old college graduate and then leaving the scene. The younger man died after drowning in the lake where his car had flipped over. However, the defendant’s attorneys have filed an appeal on the basis of juror misconduct, after one juror conducted his own drinking experiment during the trial. While at home, he reportedly consumed the same amount of alcohol as Goodman was alleged to have been drinking the night of the crash. The juror later wrote about the experience in a book, saying he believed himself to have been drunk, and therefore deemed Goodman guilty.